François Auguste Victor Grignard was born in Cherbourg on May 6, 1871. He attended local schools during 1883-87 and in 1889 he won a scholarship to the École Normale Spécial at Cluny. After two years, the school, which was intended to produce teachers for modern secondary schools, was closed because of a dispute between supporters of the “classic” and “modern” methods of secondary education. Grignard and his classmates were transferred to other establishments in order to finish the entitlement of their scholarships and Grignard himself had the good fortune to join the University of Lyons, where he was attached to the Faculté des Sciences. He was unsuccessful in the licentiate examination in mathematics and in 1892 he left to fulfil his military service. Towards the end of 1893 he was demobilized and returned to Lyons to gain the degree Licencié ès Sciences Mathématiques in 1894. In December, 1894, after some persuasion, he accepted a junior post in the Faculté des Sciences, working with Louis Bouveault: he was later promoted to préparateur and it was then that he began his long association with Philippe Barbier. He obtained the degree Licencié-ès-Sciences Physiques and in 1898 he became chef des travaux pratiques and also wrote his first paper, jointly with Barbier. In 1901 he submitted his brilliant thesis on organic magnesium compounds Sur les Combinaisons organomagnésiennes mixtes, and was awarded the degree Docteur ès Sciences de Lyons. He was appointed Maître de Conférences, University of Besançon in 1905 but he returned to Lyons in the following year, occupying a similar position until his election as Professeur-adjoint de Chimie Générale in 1908. In 1909 he took charge of the Department of Organic Chemistry at Nancy, in succession to Blaise who had moved to Paris, and in the following year he became Professor of Organic Chemistry. 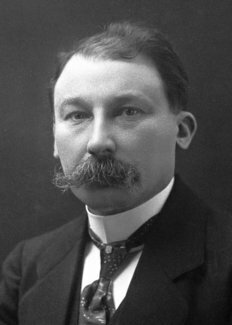 At the beginning of the First World War, Grignard was mobilized in his former rank of corporal, but he was soon to be commissioned to study, at Nancy, the cracking of benzols and, later, to work on problems of chemical warfare in Paris. He visited the United States during 1917-18 as the chemical representative on the Tardieu Committee and he delivered a lecture at the Mellon Institute. After the war he returned to Nancy and in 1919 he succeeded Barbier as Professor of General Chemistry at Lyons. In 1921 he took an additional post as Director of l’École de Chimie Industrielle de Lyons, becoming a member of the University Council, and in 1929 he became Dean of the Faculty of Sciences. Grignard’s first investigations concerned “ethyl b-isopropylacetobutyrate and the stereoisomeric diisopropylbutenedicarboxylic acids” and studies of branched unsaturated hydrocarbons. In 1899, on Barbier’s recommendation, he studied organomagnesium compounds and his discovery of the classic preparation of magnesium alkyl halides was first communicated by Henri Moissan to the Académie des Sciences on May 11, 1900. He quickly developed the immediate applications of these elegant and simple reagents, which were destined to play such an important part in organic synthesis that, at the time of his death in 1935, there were over 6,000 references to them in the literature. He used the agents to prepare and study the more exotic alcohols, ketones, keto-esters, nitriles and terpene compounds and he developed a method for the synthesis of fulvenes. He has also been concerned with work on the constitution of unsaturated compounds by quantitative ozonization, condensation of aldehydes and ketones, ketone splitting of tertiary alcohols, the cracking of hydrocarbons in presence of aluminium chloride and catalytic hydrogenation and dehydrogenation processes under reduced pressures. Grignard was the author of some 170 publications on his researches and, at his death, he was working to fulfil his ambition to see a great chemical reference work in the French language. Two volumes of his Traité de Chimie Organique (Treatise on organic chemistry) had already been published, two more were ready for the press and the editorial work for another two was well advanced: it was later to be finished by his collaborators. In 1937, two of his students, Jean Cologne and Roger Grignard, published Précis de Chimie Organique (Survey of organic chemistry) which is based on Grignard’s lecture course in organic chemistry. Grignard shared the Cahours Prize (Institut de France) in 1901 and again in 1902, when he also won the Berthelot Medal. In 1905 he was awarded the Prix Jecker and in 1912 the Lavoisier Medal. In 1912 the Nobel Prize for Chemistry was conferred upon him, on account of his discovery of the so called Grignard reagent, sharing the prize with Paul Sabatier who received it because of his method of hydrogenating organic compounds by means of finely divided metals. In the order of the Légion d’Honneur, he was appointed Chevalier (1912), Officier (1920) and Commandeur (1933). 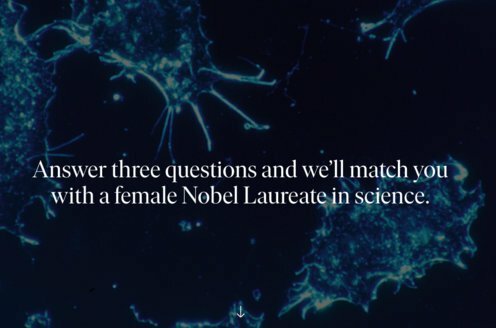 He was also Honorary Professor, University of Nancy (1931); he held the honorary doctorate of the Universities of Brussels and Louvain, and he was Honorary Fellow of the Chemical Society (London) and foreign member of the Royal Swedish Academy of Sciences. Grignard married Augustine Marie Boulant in 1910 and their only son, Roger, followed in the academic footsteps of his father: they also had one daughter. He died on December 13, 1935.